Hot cloud storage startup Wasabi has every intention of playing with the big cloud storage vendors by offering cloud storage as a utility, like bandwidth or electricity. Every day there’s news about another tech startup that’s secured millions in venture capital (VC) funding. This week, we learned that Boston-based Wasabi, a hot cloud storage company founded in 2017, secured $68 million in funding — not VC, but rather investment from industry veterans and family offices, and Forestay Capital, a Swiss entrepreneur’s foreign tech fund. Truth be told, when the company’s co-founders are David Friend and Jeff Flowers, and this is their fifth joint venture (with successes along the way), it makes you sit up and take notice. Other companies they founded include Carbonite, the most recent in 2005; Pilot Software; FaxNet; and Sonexis. It seems that Friend and Flowers, cloud-storage pioneers, make bold moves. After all, Wasabi’s mission is to become the world’s largest cloud storage company, stealing market share from the likes of Amazon, Google and Microsoft. Even tempered down a bit, becoming a leading global vendor of cheap, fast and secure cloud storage, taking on the market leaders and others is notable. According to the company, users can store virtually any kind of data in any format. It offers a single class of object storage. And while Wasabi can be used to store primary and secondary copies of data, the company realizes that, “given the incumbent nature of Amazon S3,” some organizations might wish to continue using Amazon S3 for their primary data-set storage and use Wasabi as a durable storage repository for a second copy of the data. Wasabi’s system security includes physical security, storage-data security including encryption at rest, and models and design practices such as: HTTPS support for the secure upload and download of data; buckets that are only accessible to the bucket and object creators; support of user authentication to control access to data (including support for the AWS IAM model); and access-control mechanisms such as bucket policies and Access Control Lists (ACLs) can be used to selectively grant permissions to users and groups of users. Wasabi offers S3-compatible cloud storage and cloud storage for Mac and Windows, currently in beta. The S3-compatible API connectivity option for Wasabi Hot Cloud Storage provides a S3-compatible interface for IT professionals to use with their S3-compatible storage applications, gateways and other platforms. 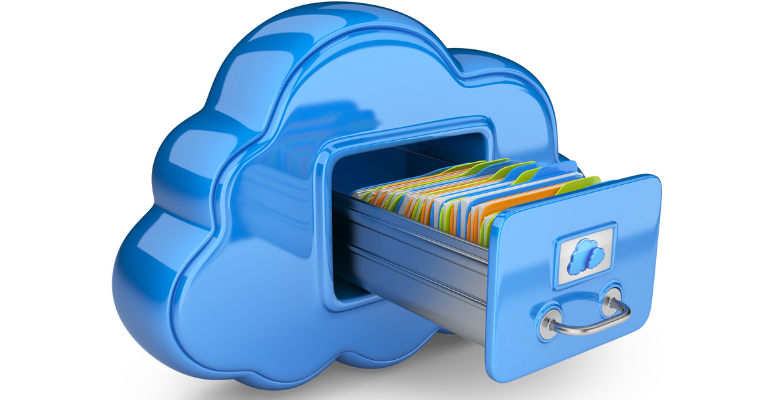 The company’s Hot Cloud Storage is priced at $4.99 per TB/month. The vendor also boasts that it offers unlimited free egress downloads and free API calls — unlike Amazon S3 and comparable services from Google and Microsoft. Azure and Goggle pricing is as follows, per Wasabi: $29,940/year (Wasabi) versus $273,691/year, $126,556/year, and $267, 854/year for AWS, Azure and Google, respectively. Coming in at 80 percent of the cost for cloud storage compared to top competitors – and according to Wasabi, six times the speed of Amazon S3 (465 MB in 5 seconds with Wasabi compared to 75MB in 5 seconds with AWS S3) – the company is out to disrupt the market. The latest round of funding targets international expansion. “Wasabi will go global this year and cloud storage will become a utility like bandwidth or electricity — it will be cheap, fast and available everywhere,” said Friend. The vendor is building a partner ecosystem that includes the Technology Solution Alliance, managed and cloud service providers, and systems integrators. Today, Wasabi has 3,000 customers from across industries, just one year since its product launch.